My boy is growing up. The bittersweet landmarks of childhood seem to coming thick and fast at the moment. There are primary school transition days and school uniforms to order. He is potty trained and drinking from a cup. And he has outgrown the toddler bed. 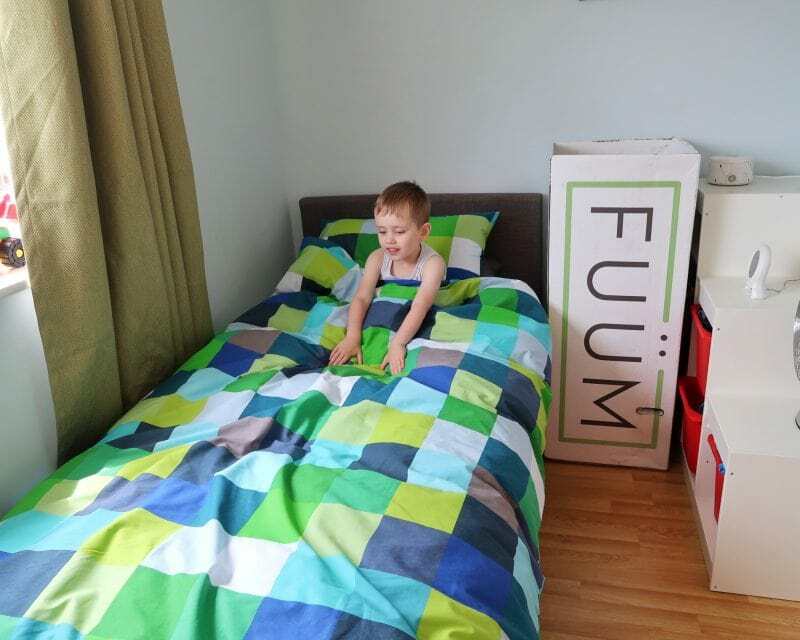 When FUÜM asked us to try out one of their mattresses, I knew it was time for my gorgeous boy to transition to a full-size single bed. I also knew that we would have to manage the transition very carefully. When you have a child with autism, all changes need to be planned and managed with the utmost care. Luckily, it seems to have worked and Biggest has taken to his new bed with enthusiasm. We started warning Biggest about the change several weeks ago. Firstly, we simply explained that his bed was getting small and that he would need a bigger one soon. We engaged Biggest in conversation about how tall he is, measured how far his feet were from the end, and talked about how fun it would be to stretch out in a big bed. This continued for several days. The next step was to warn him that the bigger bed would not fit in the place where the toddler bed was. 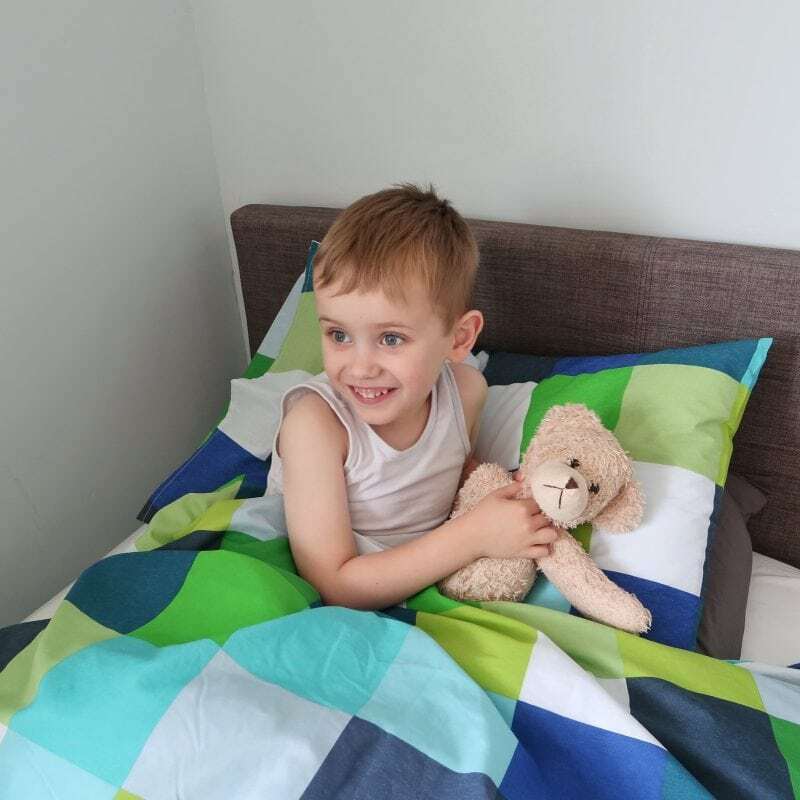 We followed the same pattern, engaging him in conversation about where the new bed would go and reiterating how fun and comfortable his new bed would be. Finally, we showed him pictures of the new mattress, the new frame and the new bed linen. Again, this was several weeks in advance. Being as positive as possible about a change and ensuring that all the information has time to sink in is key to preparing a child with autism for a big change. When the mattress, frame and bed linen arrived, again, we let him look at it and explore before we changed his actual room. The whole process took several weeks from start to finish. It was well worth the effort in terms of making it such a positive experience for him. I am pleased to report that Biggest absolutely loves his new bed and informed me that the new mattress is “very, very big and very, very comfy.” I have tried it out and I can confirm that FUÜM’s four layer system with memory foam is fairly dreamy to sink into! FUÜM design their mattresses with four layers that combine to give you the perfect night’s sleep. They begin with a foam base layer which creates a high-density base for the other layers. 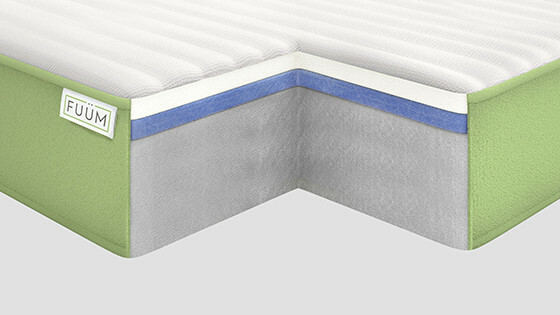 At the centre of the mattress there is an Airflow gel layer with unique cooling properties. This ensures that it keeps you cool in summer, warm in winter and happy all year round. Every FUÜM mattress has a medium firm layer of deep, responsive and relaxing memory foam. The top of every FUÜM mattress is covered with a deep layer of micro-quilted intelligent fibre and breathable fabric which creates an airspace between you and the mattress. The medium firm FUÜM mattress is designed to support you with comfort, however you sleep. 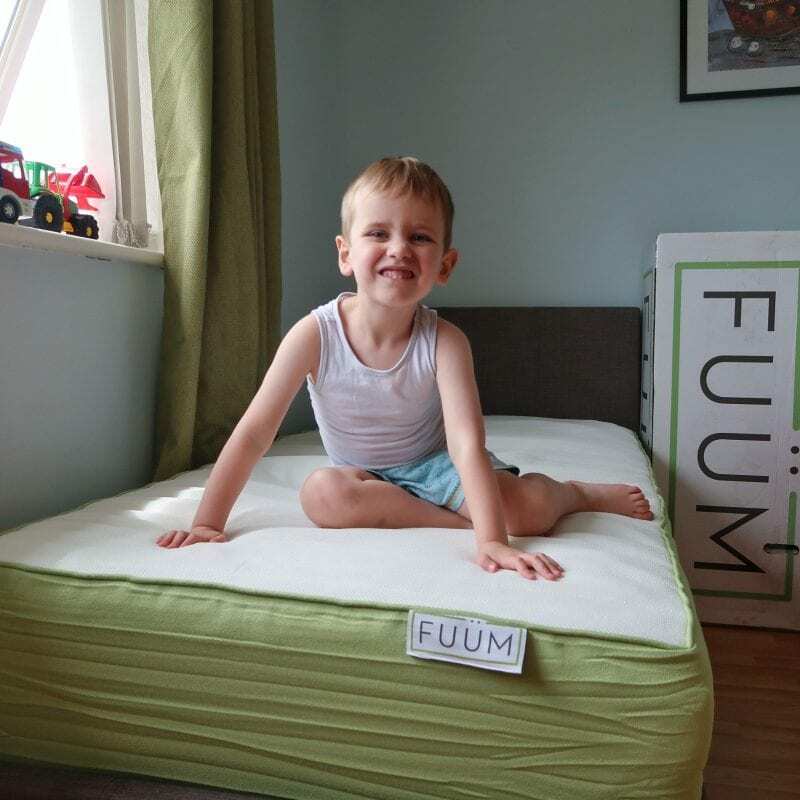 FUÜM are so confident that you will love their mattresses that they offer 100 night trial. If you’re not 100% happy, they will pick the mattress up and give you a full refund. In addition, they also offer a 10 year guarantee with every mattress and free delivery across the UK. Biggest has slept in his new bed for several nights now and on the last two evenings he actually told us that he was tired and he probably needed to go up to his “new big, big boy bed.” He loves having a bed that is big and cosy and we love giving him a high quality mattress that we know will serve him for many years to come. Also, every FUÜM mattress is delivered wrapped and compressed in an easy-to-move box. Just unwrap and the memory foam will work its magic within a few hours. Biggest loves this element, as he was fascinated by watching the mattress ‘grow’. It is also pretty handy for delivery and storage purposes. 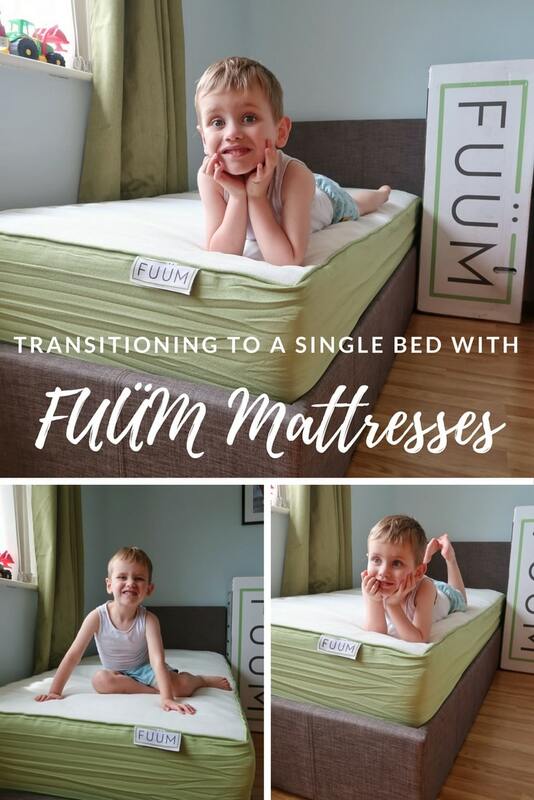 If you are looking to upgrade your mattress or transition a child into a bed you cannot go wrong with a FUÜM mattress. 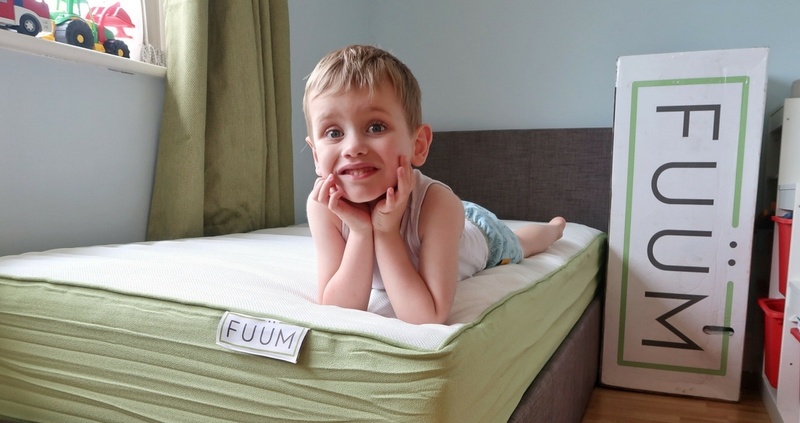 Please note, this is a collaborative post with FUÜM Mattresses. They also kindly gifted us with a mattress for the purposes of this review. We made the mistake of not enough preparation when we went from crib to toddler bed. King Ben was so upset. It caused many problems. When it was time for a “big boy bed”, we’d learned and spent quite a bit of time explaining and preparing. We let him pick his new bedding(Disney/Pixar Cars). That was a much smoother transition. He was so excited that he gave his new mattress a kiss when we brought it home. Ah thank you. He is really chuffed to bits with it and keeps asking to go to bed early! I doubt that will last but I am really glad it went so well. Thanks for commenting.